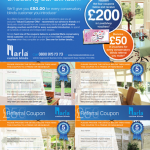 As a Marla Custom Blinds customer, we are delighted to give you an exclusive ‘Valued Customer Offer’. Recommend our service to friends and family who could benefit from our conservatory blinds and you’ll receive shopping vouchers worth £50 for every successful introduction, to spend at hundreds of national and independent retailers. Naturally, we want to provide a great offer to as many customers looking for conservatory blinds as possible. 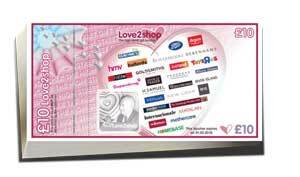 We can help them to achieve their desired look, all year round comfort, free installation and a five year guarantee and now they can also claim £50 in Love2shop vouchers* to spend at hundreds of national and independent retailers with your help through a recommendation! You can either ask us to send you a sheet of our referral vouchers by clicking here and completing the short form with your details or you can simply fill in the form below and print out the email you receive after submitting it and give it to one of our team and we’ll give you and your friend £50 in Love2shop vouchers when they complete an order. Please ensure that you have permission from the person before entering their details here. I confirm that I have the person's permission to enter their details in this form. To read our Recommend a friend conditions of issue and use please click here.